COOPERSTOWN - Beverly B. Lower, 85, of Cooperstown, passed away late Tuesday afternoon, September 26, 2017, at Focus Rehabilitation and Nursing Center at Otsego. She was born September 12, 1932, in Cooperstown, a daughter of Claude J. and Edna (Eldred) Bliss, and was raised in Hartwick. For many years Bev was employed as a telephone operator with AT&T in Binghamton. Throughout her life she always enjoyed reading and had a passion for watching soap operas on TV. She also was a fan of baseball, and enjoyed watching games at Doubleday Field from the rear window of her home on Susquehanna Avenue in Cooperstown. Survivors include two brothers, Clyde G. Bliss and partner Barbara Calabrese of Otego and Keith D. Bliss and wife Florence ("Flossie") of Burlington Flats; a sister, Virginia Bauer of Florida; and several nieces and nephews. Bev was predeceased by her son, Timothy Eric Lower who died January 9, 2013 and a sister, Mable Whalen who died January 26, 2012. With respect for Bev's wishes, there will be no services. FLY CREEK - Mr. Harry Noel McManus, age 87, of Fly Creek, passed away early Sunday morning, September 24, 2017, at Chase Memorial Nursing Home in New Berlin. He was born September 18, 1930, at the Mary Imogene Bassett Hospital in Cooperstown, the youngest of nine children of Harry L. and Mable E. (Grover) McManus. After graduating from Cooperstown High School with the Class of 1949, Harry served in the National Guard for seven years. During this time he met Elizabeth Jane Hathaway while she was attending the State University Teachers College at Oneonta. They were united in marriage on April 12, 1952, in a ceremony at the First Presbyterian Church of Cooperstown. For 31 years he was employed as an electric lineman for NYSEG, working first out of Margaretville and later Cooperstown. Harry was a 45-year member and Past Master of Otsego Lodge No. 138, Free & Accepted Masons in Cooperstown, and was also a long-time member of the Fly Creek United Methodist Church. An avid outdoorsman, he enjoyed fishing and hunting-especially grouse-and was a long-time member of the Cooperstown Sportsmen's Association and the Richfield Sportsmen's Club. Throughout his life, he always found sustenance by spending time outdoors walking in the woods with his dog(s) and appreciating plant and animal life. He was and always will be one with nature. Harry is survived by one daughter, Carol E. McManus (Mary Wake) of Milford; one son, Neal S. McManus (Shirleen Barnes) of Sharon Springs; three grandchildren, Jonathan McManus, Michael McManus (Mary Doherty) and Shannon McManus; two great grandchildren, Sawyer and Parker; and many nieces and nephews. He was predeceased by his wife of 61 years, Elizabeth McManus, who died April 27, 2013, and all his siblings, Harold P. McManus, James Grover McManus, Donald McManus, Mildred Elizabeth Sponenburgh, Edith Wickham, Isobel A. Wiltse, Doris M. Truax and Arlene Bailey. A Funeral Service will be offered at 11 a.m. Monday, October 2, 2017, at the Connell, Dow & Deysenroth Funeral Home in Cooperstown, with the Rev. Kurt Funke, former pastor of the Gilbertsville Baptist Church, officiating. As part of the services Monday morning at the funeral home, a Masonic Memorial Service will be conducted for Worshipful Brother McManus by Brothers of Otsego Lodge No. 138, F. & A.M. Following the services at the funeral home, interment will follow in the McManus Family Plot in the Fly Creek Valley Cemetery, Cemetery Road, Fly Creek. The McManus family respectfully requests that flowers not be sent. As an alternative, please consider a memorial donation to a local animal shelter or the Alzheimer's Association, Leatherstocking Region Office, 140 County Highway 33W, Suite 2, Cooperstown, NY, or Hospice and Palliative Care of Chenango County, 21 Hayes Street, Norwich, NY 13815. The McManus family wishes to express their thanks and gratitude to everyone at Chase Memorial Nursing Home in New Berlin and Hospice and Palliative Care of Chenango County for the kind, considerate and understanding care provided to Harry. JEFFERSON - Helma Ann McNally (Linda), passed away following a valiant, indomitable, audacious battle with cancer Wednesday afternoon, September 13, 2017, at home in Jefferson. She was 76. A former resident of the Bronx, she moved to Pleasantville in Westchester County then later moved to Hopewell Junction in Dutchess County. After residing in Dutchess County for many years, Helma and her family relocated to Schoharie County a year ago and settled on property that had been in their family for many years. Born July 3, 1941, at St. Francis Hospital in the Bronx, Helma was a daughter of Frederick (Fritz) and Helma (Renenberg, Honigmann) Moore. She was married to John Joseph McNally, a Veteran, who predeceased her November 15, 2011. 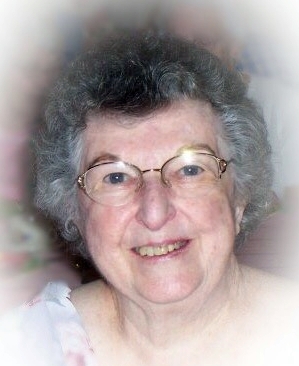 Throughout her life, she enjoyed caring for others more than she ever cared about herself. She was the most unselfish person. She had a generous heart and mind, and gave to those in need. At one time she owned and operated a craft business, and was also a spiritual teacher, herbalist and scholar. She was an ordained minister from St. Andrews Church. She was a woman far beyond her years. Helma will be greatly missed by her loving and devoted daughter, Tara Ann McNally and all other loved ones. We want to thank Catskill Area Hospice for everything! The Liturgy of Christian Burial will be offered at 10 a.m. Friday, September 22, 2017, at St. Mary's "Our Lady of the Lake" Roman Catholic Church, 31 Elm Street, Cooperstown, with Fr. John P. Rosson, pastor, officiating. The next day, Saturday, September 23, 2017, the McNally family will receive friends from 3-6 p.m. at the Connell, Dow & Deysenroth Funeral Home, 82 Chestnut Street, Cooperstown. In lieu of flowers, the family respectfully requests memorial donations. COOPERSTOWN - William Henry Zoeller, owner of Lake Front Hotel and Cooperstown Marine, passed away Sunday evening, September 17, 2017, at his home in Lakeland Shores surrounded by his family. He was 92. Born March 10, 1925, in Ozone Park, Queens, Bill was the only child of Michael G. and Lena P. (Schreiner) Zoeller. After graduating from high school, Bill entered into active service with the United States Army Air Corps and proudly served his country during World War II. During his time in the military, Sgt. Zoeller flew 19 missions in B-24 bombers, including one that was shot down. On July 8, 1950, Bill married Haidy Engelmann in Brooklyn. He was first employed as a photoengraver, and did work for various magazines and publications. In 1952, Bill and Haidy moved to Cooperstown, and in June 1955 the Lake Front Motel -- operated by Bill and his father-in-law, Alfred W. Engelmann -- formally opened to the public. Bill and Haidy also owned and operated Cooperstown Marine, building and shipping boats to the New York City area. Bill was a faithful member of Evangelical Lutheran Church in Hartwick Seminary. He was also dedicated to the Cooperstown community and served on the village Board of Trustees in the early 1970s. A consummate entrepreneur, he truly enjoyed owning and operating his businesses as well as interacting with customers and staff on a daily basis. His presence will be greatly missed. Bill is survived by his wife of 67 years, Haidy Zoeller; a daughter, Paula L. Wikoff and husband, Terry; a son, Alfred M. "Fred" Zoeller; five grandchildren, Tulsa Wikoff and husband, Joseph Lepetich, Alexander Zoeller and wife, Suzana, Lonnie Zoeller and wife, Jennifer, Christian Zoeller and wife, Marissa, and Brett Zoeller and wife, Lauren; 6 great grandchildren, Kohlee, Knox, Remini, Sophia, Aaliyah and Wesley. The Rite of the Burial of the Dead with Holy Communion will be offered at 11 a.m. Thursday, September 21, 2017, at Evangelical Lutheran Church in Hartwick Seminary, with the Rev. Paul R. Messner, S.T.S, pastor officiating. The Service of Commital and Burial with Military Honors will follow in the Zoeller and Engelmann Family Plot in Hartwick Seminary Cemetery. As an alternative to flowers, the Zoeller family respectfully requests that memorial donations be directed to Evangelical Lutheran Church, 4636 State Highway 28, Hartwick Seminary, NY 13326 or Catskill Area Hospice and Palliative Care, 1 Birchwood Drive, Oneonta, NY 13820. COOPERSTOWN - Mrs. Esther C. Brooks, 88, of Cooperstown, died early Sunday morning, September 10, 2017, at Focus Rehabilitation and Nursing Center at Otsego. Born Esther Claire Kent on August 24, 1929, in Lawrence, Massachusetts, she was a daughter of Charles Francis Kent and Clara Mary née Balfour Kent. After graduating from high school Esther attended Simmons College in Boston, Massachusetts, where she earned a bachelor's degree in home economics. She then attended Russell Sage College in Troy and earned her Master's degree in Community Health Education. On June 21, 1952, Esther married Malcolm Norris Brooks in the First Baptist Church of North Tewksbury, Massachusetts. When Mal was hired as Director of the Alfred Corning Clark Gymnasium in July of 1963, the Brooks moved from Cohasset, Massachusetts to Cooperstown. In 1971 Esther became school lunch manager for the Cooperstown Central School District, and served in that capacity until her retirement in 1980. She also was employed as an educator by L.E.A.F. (The Leatherstocking Education on Alcoholism/Addictions Foundation) and was a dietician for several area nursing homes. During their years in Cooperstown, the Brooks made their home on Pioneer Street. In later years they moved to a home on lower Chestnut Street, and, following Mal's death in 2006, Esther moved into the Cooper Lane Apartments and later the Clara Welch Thanksgiving Home. A devoted and active member of the First Presbyterian Church of Cooperstown since 1963, Esther served the church in many capacities. She especially enjoyed helping out where needed with the yearly ice cream socials. An ordained Deacon in the Presbyterian Church, Esther, along with her husband, Mal, once served communion at a General Assembly held in Syracuse in the early 1990s, a memory they both held dear to their hearts. Esther and Mal travelled together extensively, and visited many countries and places including Finland, England, Hawaii, Central America, Mexico, the Caribbean, the Panama Canal, and Alaska. They also enjoyed square dancing, and since 1979 were members of the Doubleday Square Dancers. Esther is survived by her three children, Charles M. ("Chuck") Brooks and his wife, Maryellen, of East Durham, Wayne M. Brooks of Phrao, Chiang Mai, Thailand, and Mrs. Ruthanna Cherifi, and her husband, Said, of Silver Spring, Maryland; seven grandchildren, Jonathan Kent Brooks, Christopher Dunham Brooks (Theresa), Charles Adam Brooks (Michelle), Jennifer Anne Brooks DeHaven, Jeremiah Wayne Brooks (Tara Loewenguth), Malika Claire Cherifi, and Rabah Said Cherifi; and five great grandchildren, Austin David DeHaven, Anthony Wayne DeHaven, Angela Josephine Brooks, Alison Rose Brooks and Tyler Colombo. She is further survived by her three sisters, Charlotte Sargent and Jane Cobleigh (Ray) of Tewksbury, Massachusetts, and Evelyn Kent of Venice, Florida; their families; and many cousins. Esther was predeceased by her husband of 54 years, Mal, who died unexpectedly May 30, 2006. Friends may call at the Connell, Dow & Deysenroth Funeral Home, 82 Chestnut Street, Cooperstown, on Saturday, September 16, 2017, from 4-6 p.m. when Esther's family will be in attendance. A Funeral Service of Witness to the Resurrection, and Celebration of the Life of Esther Brooks will be offered at 7 p.m. on Sunday, September 17, 2017, at the First Presbyterian Church of Cooperstown, with the Rev. Elsie Armstrong Rhodes, pastor, officiating. Immediately following the funeral service, all attending are invited to join with the Brooks' family for a time of refreshment and fellowship in the church's Chapel. The Service of Committal will be conducted at a later date at the Columbarium in the Presbyterian Church Cemetery. As an alternative to flowers, Esther's family would appreciate memorial gifts to the Malcolm N. and Esther C. Brooks Memorial Scholarship Fund, which was established in 2006 for a graduating Senior who has chosen to attend college to pursue a career in working with youth. Donations may be made payable to "Cooperstown Central School", along with a note stating that the gift is to be directed to this particular scholarship, and mailed to the school at 39 Linden Avenue, Cooperstown, NY 13326. In appreciation for all of the care extended to Esther by her church family, memorial donations may also be made to The First Presbyterian Church of Cooperstown Deacons' Fund, 25 Church Street, Cooperstown, NY 13326.